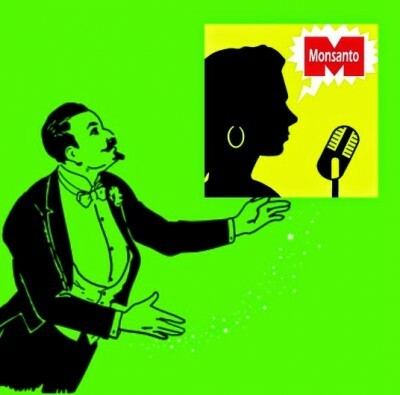 Monsanto company arguably holds an inordinate amount of the global food supply, not only with its genetically engineered seed but its complimentary product, Roundup herbicide, which contains the active ingredient glyphosate. Which is why they spat lividly when a subset of WHO publicly announced that glyphosate is a probably cause of cancer. They demanded a retraction. The report published in The Lancet Oncology discussed chromosomal and DNA damage, and glyphosate found in human blood and intestines. Catherine Frompovich expounds on it in What’s Your “Daily Value” of Glyphosate? Since they hold more capital than Lucifer, it stands to reason they would have a propaganda wing that disseminates information and decimates those who stand in the way. Snippets of proof have surfaced before. Although shrouded in secrecy, this time someone from the company got a little too gleeful at the thought of “debunking” naysayers whether they be scientists, activists, bloggers or you. DailyKos writer occupystephanie explains that she recently attended a talk by a Monsanto employee/representative who spoke to eager-to-work agricultural students about new RNA projects. When he talked of efforts to educate the public about the inherent goodness of the products, a student asked how Monsanto deals with the pesky, not-so-thrilled, non-GMO-ers. Spin doctors have been weaving webs under the guise of science for nearly a century that we know of in the U.S. But recent examples show that deception-for-profit has been perfected since then. Let’s not forget that Monsanto deployed tactics against social media activism as far back as 2010. It was then discovered that they have ties to Blackwater. Blackwater, which boasts of having Monsanto as a client was paid the big bucks to infiltrate high into the ranks of social media activism that was critical of Monsanto. Furthermore, internet-based tactics that appear to naturally support Monsanto and GMOs could really just be a paid-for PR spin. Monsanto also paid female bloggers to attend a panel so that they could be reprogrammed to embrace GMOs – and who knows? Maybe write nicely about them…wink wink, nudge, nudge, here’s some money, away with the grudge! And in another instance, Monsanto reps were invited to teach a health class at a public school. When this writer reported on it, a Monsanto employee commented with accusations of “irrational hate” claiming that organic food kills, but GMOs never do. He spends an enormous amount of time countering comments on the Internet. Speaking of which, Nestle has a “cyber army,” complete with state-of-the-art high tech headquarters ready at the helm to address criticism through social media. They also had to pay a fine for infiltrating an activist group that spoke out against them…. Monsanto’s discredit bureau is also similar to the technology espoused by Big Pharma. Social media “bots” that automatically counter comments that are negative toward vaccines. I’m fairly certain I’ve seen these in action. Likewise, a viral and heartbreaking post about a mother whose baby caught measles from a non-vaccinated person was a complete sham fabricated by an upper pharma rep. The future is going to require astute individuals willing to go the extra mile to refuse and to speak up. It’s going to require the most integrous scientists in all of history, to be brave and willing to publish their research. Because with all that money and power, we ain’t seen nothin’ yet. But such lengths and deception should make everyone stop. Think. None of this is for your benefit.